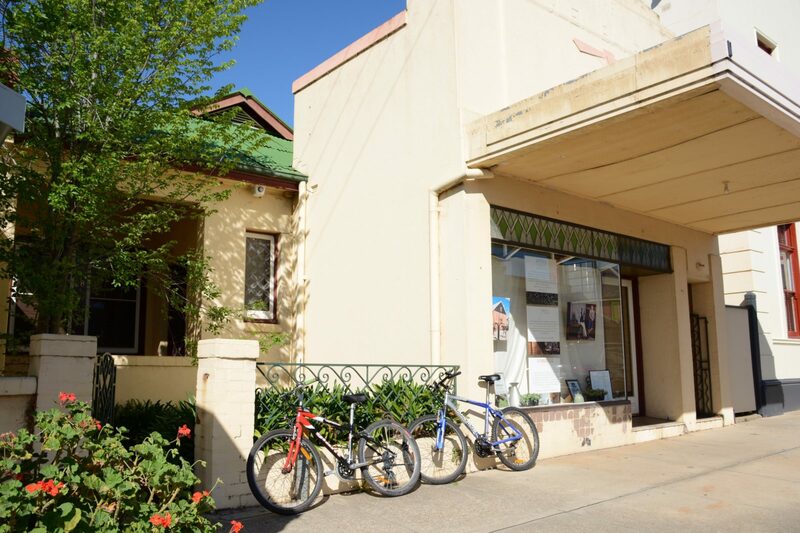 The Glen Bakery’s original art-deco shopfront and dwelling make it a uniqye stay on Rutherglen’s historic Main Street. The main house features four bedrooms and a central bathroom. Across a small courtyard, the original Bakehouse (with Scotch Oven still in situ) provides two extra bedrooms and two bathrooms, one with full sized spa. 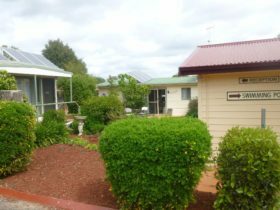 A fully equipped kitchen and barbecue area, ducted heating and cooling and a short stroll to all restaurants, hotels and wine bars makes it perfect for groups both large and small. 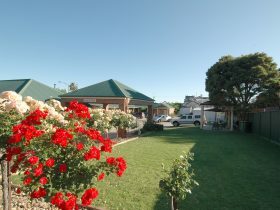 Whether it be for catching up with friends and family, weddings, golfing at the well known Murray courses, cycling (there are eight bikes provided) or experiencing the food and wine of award winning local wineries in a limousine tour, Rutherglen has something to offer everyone whatever the season. Family and pet-friendly with ample off-street parking, the Glen Bakery is let as a whole. Please contact Marie and Greg at the Glen Bakery for bookings or further information. 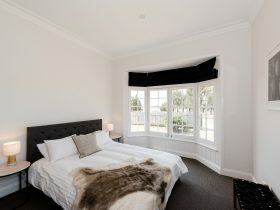 The Glen Bakery house has six bedrooms, one king, three queen and two twin rooms. 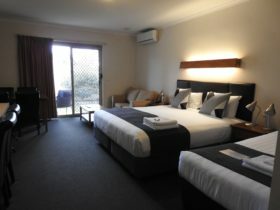 The twin rooms can be configured as King beds. 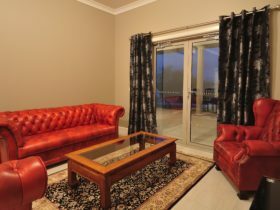 There is also a double sofa bed in a small sitting room separate from the lounge. 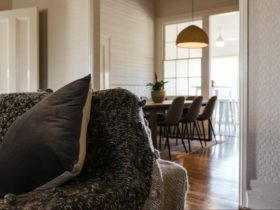 Please note that bookings for The Glen Bakery apply to the entire property. Rates will depend on number of people and number of nights. Minimum stay on some weekends.